The number of veterans suffering from an addiction to opioids is staggering. And even more troubling is the fact that Veterans are more than twice as likely to unintentionally overdose on these painkillers than those who’ve never served. This awareness forces us to seek what the correlation is and gives us an incentive to find a way to eventually end this trend. But a more immediate concern is how can we help Veterans with opioid addiction differently? Why are we losing so many of our veterans and how can we stop it? Studies show that in the last couple of years, more veterans have died from an accidental overdose than being killed in action during the Iraq, Afghanistan, and Vietnam wars combined. The majority of Veterans’ first encounter opioids after being injured while serving. They suffer from serious injuries and have to deal with real pain with intense consequences. These painkillers save lives and help make their pain more manageable. In our research, one Veteran who went on record stating, “If someone had said to me, ‘If you take these drugs, you could become addicted,’ I’d say to them, ‘Give it to me [anyway]. 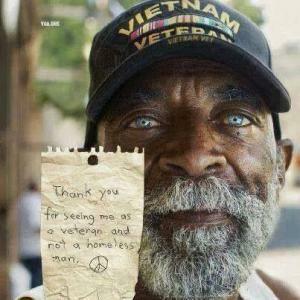 I hurt.’” This Veteran is not alone, and many of these men and women suffer in silence until the the addiction takes hold and they lose everything. These men and women need medical support after deployment and/or discharge to titrate off the medication and into an Opioid free pain management plan. They also need a caring and loving community as well as family support as they struggle with the price and cost of their service. This is one of the roles of The Journey Home, to be that support as they struggle with their journey back home. Veterans come back home physically and mentally changed and will struggle to find ways to cope. The physical pain alone contributes to many men and women seeking ways to numb the pain. If prescribed, many will rely too heavily on opioids. Unfortunately, our Veterans don’t realize just how easy it is to become dependent on these drugs and how quickly they can take control of their lives. “Opioid addiction is sneaky. It’s slow. It takes over your life without you realizing it.” In 2016, Opioid overdose killed over 64,000 veterans. One thing you can do is to become aware of how opioid (painkillers and heroin) addiction is crippling our country, our culture and killing not only our Veterans but also men, women, and children of all ages, classes, and lifestyles. We also need to realize that the majority of those who overdose with opioids or are using heroin today started their addiction after receiving a legitimate doctor’s prescription. And sadly, very few patients were ever educated in how potently addictive these painkillers are or given appropriate medical support of being titrated off and onto a sustainable pain management care plan. Perhaps the best thing you can do to help is to simply provide a listening ear. Knowing that they have someone willing to listen to their struggles can help Veterans immensely, especially in a day and age where there is still a stigma surrounding substance abuse. Thank you for the information. It is sad when we think we are helping get rid of pain, and in reality, we are doing more harm than good.